"This is my Balenciaga tree- obviously I'm addicted." Matches Fashion has some lovely photos of a few Rose Gold Hardware bags. I love the first and the day! Kourtney Kardashian wearing her Sahara Perforated City going to enjoy some sushi with partner Scott Disick on June 22, 2010. Miley Cyrus and boyfriend at LAX airport on June 21, 2010. She is sporting a shorter hairdo which I think looks good on her, and her Balenciaga Giant Gold Galet Pom Pon. Ashley Tisdale was spotted on June 19, 2010 in Toronto walking her adorable pup, Maui to a nail salon. Ashley looks chic with her acid wash shorts and baggy tee. 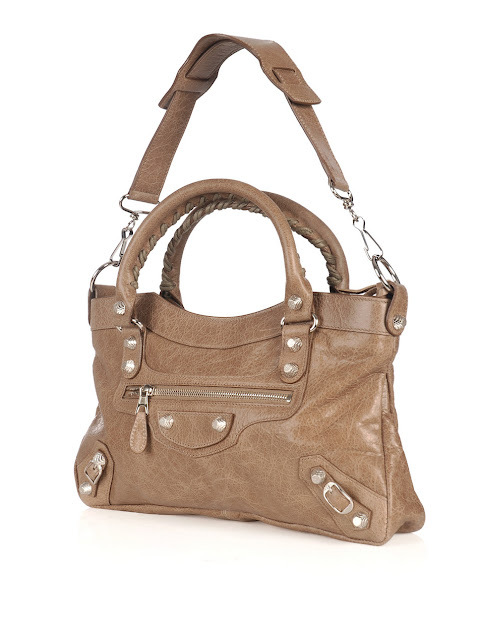 She is wearing a Balenciaga Town bag with Classic Hardware in the 2010 Moutarde yellow color. 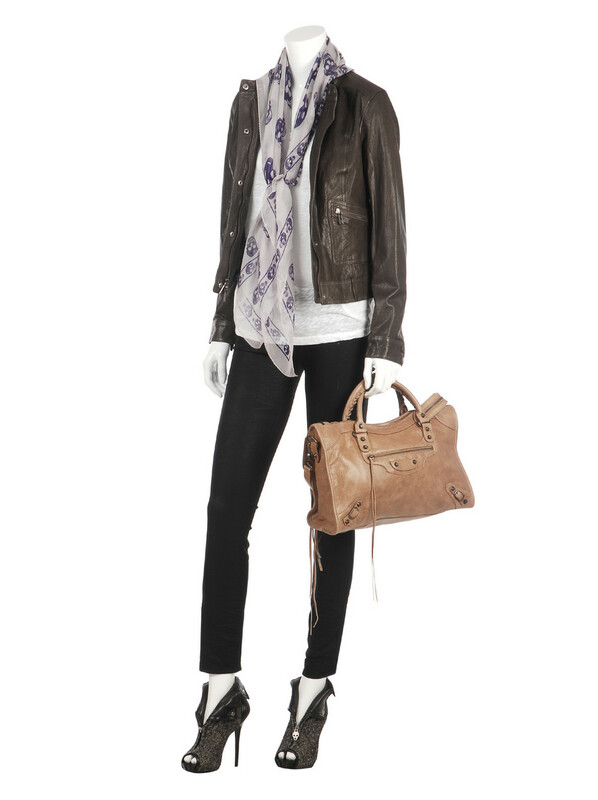 She wears her bag as a messenger and it hangs pretty low on her hip (She's 5'3")! I think the longer strap is too long for petite gals like me. 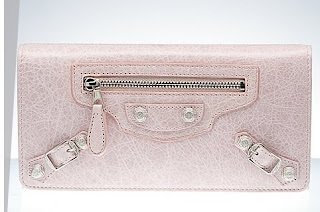 Balenciaga should make the straps adjustable because I definitely have reservations about this style! Images via Superior Forum Pics. The duo (Lo and Stephanie Pratt) were seen again in continuation of filming of the Hills on June 18, 2010 on Robertson Boulevard. This time Lo dons a black ensemble which matches her Balenciaga Giant City with Rose Gold Hardware. Loves it! Lo Bosworth and Stephanie Pratt were spotted yesterday June 17, 2010 at the Beverly Hills Four Seasons Hotel filming the reality show, the Hills. 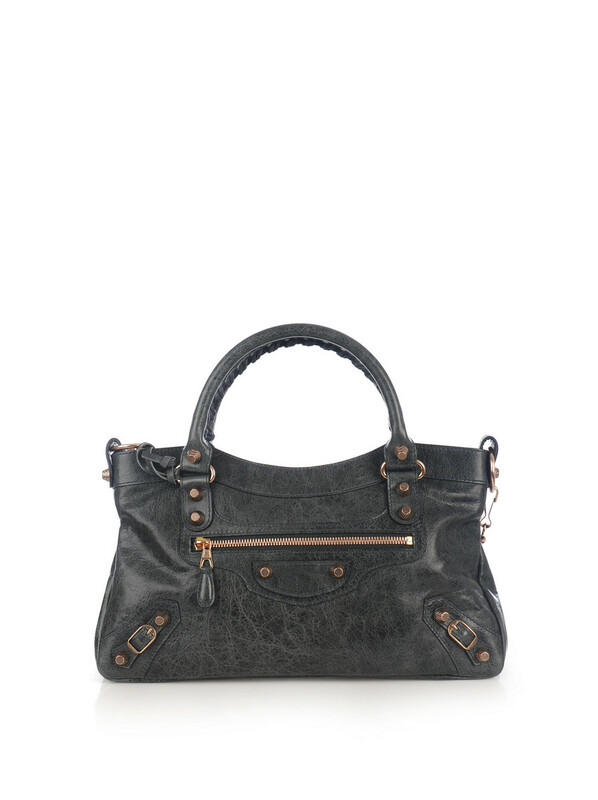 Lo Bosworth is carrying her brand new Balenciaga Black City with Giant Rose Gold Hardware! A very interesting and pretty combination I must say. I am still on the lookout for Nacre (dove) with RGGH, preferably the Hip style. As much as I love the looks of the Giant City, it is just way to heavy for me. Even when I stuff my RH City to the brim, it starts to feel like a suitcase. 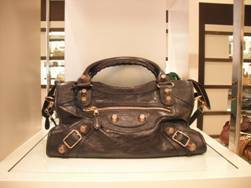 Balenciaga Bag Sale at Beyondtherack.com on June 20-22! Starts Sunday, June 20th, 11:00 AM EST/EDT Some things never go out of style. Fendi and Balenciaga are two of those things. 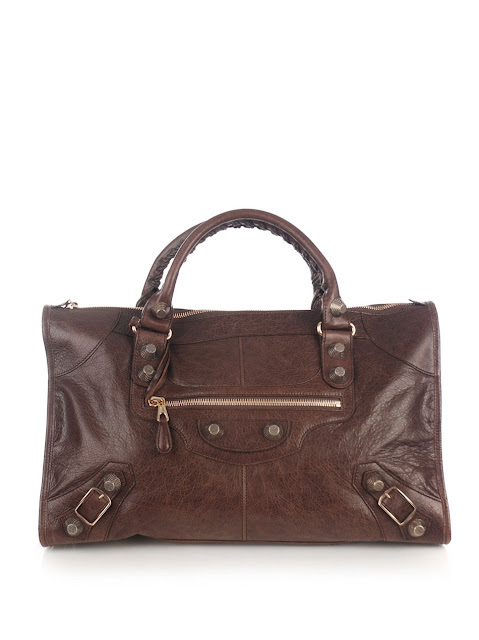 These iconic Italian luxury brands are famous for their clean lines, high quality leathers, and fabulous colors. 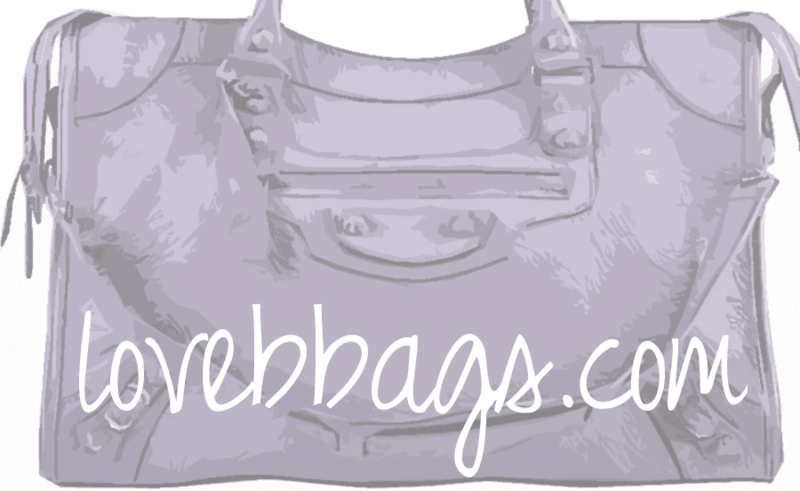 Each handbag, tote, and satchel is practical, fashionable, functional and sturdy. Considered more of a "uniform" than an accessory, these bags are a must. Click the picture to gain access for membership! I'm so ready to see what goodies they have! 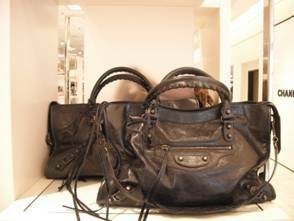 Last time they had a ton of Balenciaga stuff. Well, we haven't seen her carry this one in a while! Ashlee Simpson was spotted yesterday on June 16, 2010 leaving a Reebok event in Los Angeles, CA. 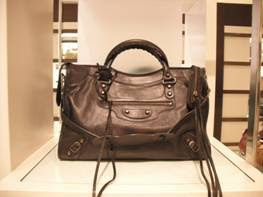 She was carrying her Balenciaga black City with Classic Hardware, a truly beautiful and timeless bag. She keeps her look cute and casual by pairing skinny jeans, floral top, and sandals. Though she's gotta do something about that crazy multicolored hair! Miley Cyrus and boyfriend Liam Hemsworth were spotted this morning June 16, 2010 catching a flight at LAX International Airport. Miley wears a cute plaid shirt with skinny jeans. Love her Balenciaga Galet Pompon, gold with gray is a striking combo! If you are interested in any of these styles please email love@aloharag.com or email me if you would like to see their pics! Gosh I love her style! Even when she is pregnant, she is able to look insanely beautiful. 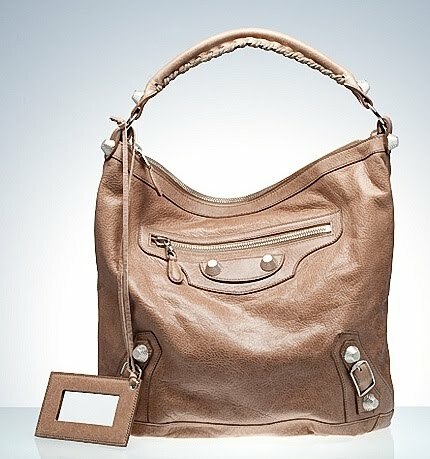 Here she carrying what looks like a new Balenciaga Anthracite First (no pocket on mirror). 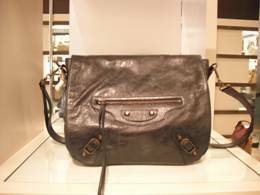 Penney from Hirshleifer’s in Manhasset, NY has received in some new colors from the 2010 Balenciaga fall collection. Please visit her album if you wish to see what goodies are available. The Kardashian sisters arrive at JFK Airport on June 8, 2010 in New York to promote their reality show. Kourtney's choice of bag is her Balenciaga Black Giant Gold City which she has been loyal to carrying for the last couple of years. She also carries it the next day to to the taping of "Live with Regis and Kelly Show". She knows it must be a great choice because the gold hardware adds a little more bling to her sparkly dress! Supermodel Bar Refaeli was spotted enjoying some Pinkberry on June 8, 2010 with some friends. 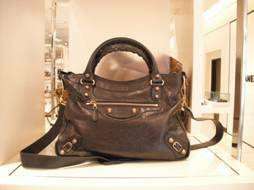 To match her boho casual look, she pairs a floral skirt and button up shirt with her Balenciaga 2008 Vert Thyme Day with Classic Hardware. She looks cute here - very down-to-earth! 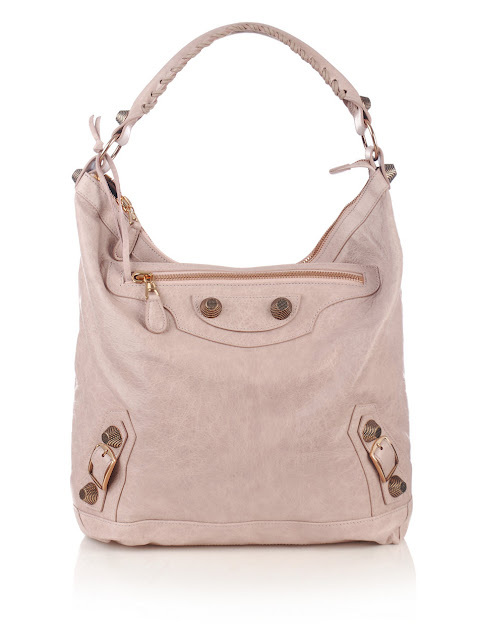 Of course the slouchy Day bag looks very proportional to her model height (5'8"/1.4 m), so this makes me wish they would make a Mini Day just like how the Mini Pom is coming out! No, I'm not talking about the Day's sister, the Club, which seems to be a shorter and more structured version of the day. Click here to shop these beauties! Kourtney Kardashian and family were spotted heading towards the Staples Center yesterday night for Game 1 of the Finals between the Lakers and Celtics. The family was there to cheer on Khloe's husband, Lamar Odom. Kourtney carries her Balenciaga Sahara Perforated City with Classic Hardware which seems to be this season's favorite color among celebrities. 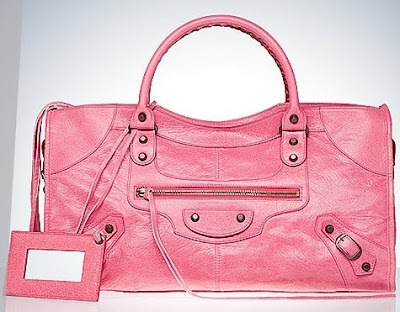 Matches Fashion has gotten in their first two pieces of the 2010 Balenciaga Fall Collection, a Seigle Giant Silver Hardware First, and a Classic Hardware City. Seigle looks like a yummy medium brown that is very unique on its own, since it does not seem to duplicate any of the previous season colors. Click here to check them out at Matches.